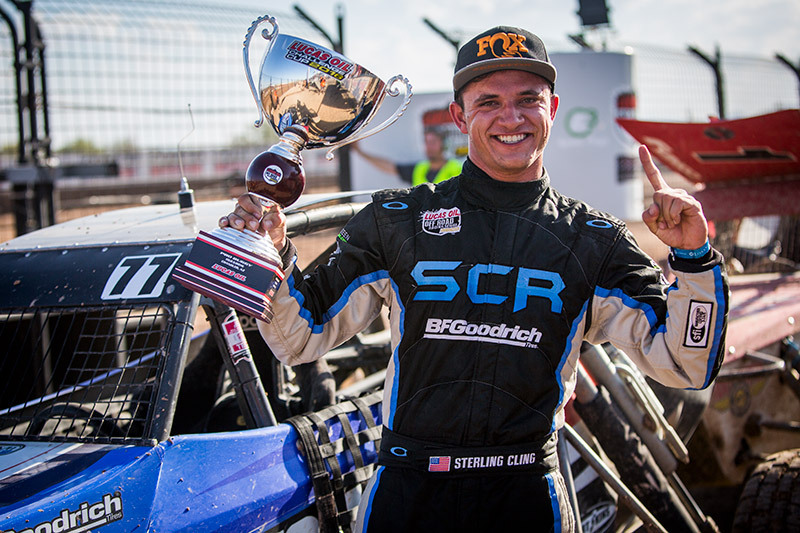 Alumi Craft racer Darren “HotSauce” Hardesty Jr. made history as the youngest driver to win a pro series event when he dominated the Pro Buggy race in Utah last season. 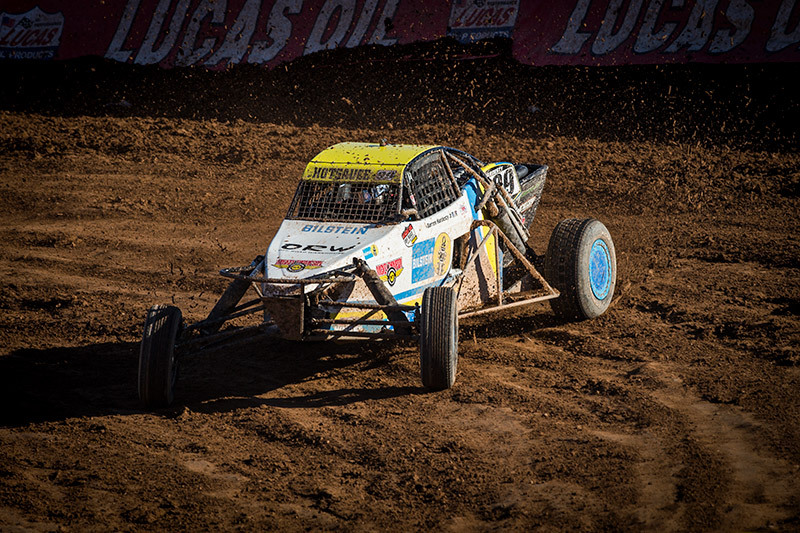 He topped it this year by winning the Lucas Oil Off Road Racing Series Pro Buggy class points championship for 2016. A year older, he still made the history books as the youngest driver to win a pro championship. HotSauce had to battle back from a deficit after getting zero points at the first weekend of racing due to a mix-up that led to his disqualification. During the heat of battle, the wrong wheel was put on his car in the hot pits causing him to fail post-race inspection. The situation galvanized the team and made them more determined than ever. Hardesty and his crew have learned that they can lean on their Alumi Craft car as hard as it takes to get to the front. 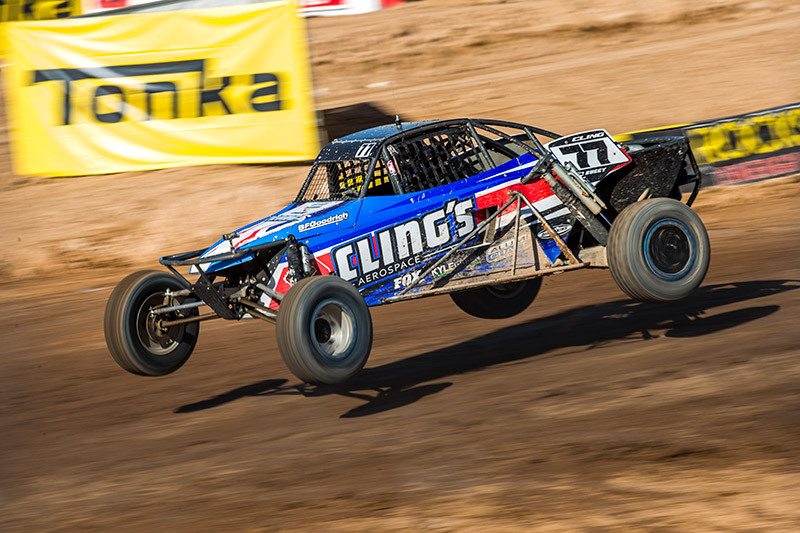 In fact, they were sitting in third place in the points standings heading into the final race of the season at Wild Horse Pass Motorsports Park in Chandler, AZ. They would have to put as many points on the board as possible if they had any chance of accomplishing their goal. 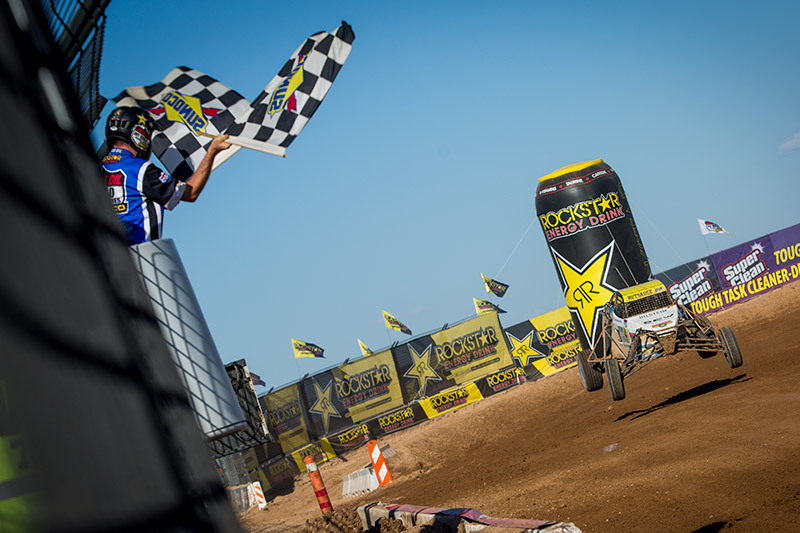 Hardesty’s strong performance catapulted him from third place in the points chase into a tie for the title. The tie-breaker came down to the most wins in the season, giving the title to Hardesty. His four wins on the season and nine trips to the podium show that he was both fast and consistent. With the points title decided, there was only the challenge cup race to run the following day. The challenge cup is a no holds barred race for bragging rights and a pile of cash. Hardesty got tangled up with other cars and ended up on his lid. The victory went to another young Alumi Craft racer Sterling Cling. Although Cling is no longer a teenager like Hardesty, he is only 20 years old. 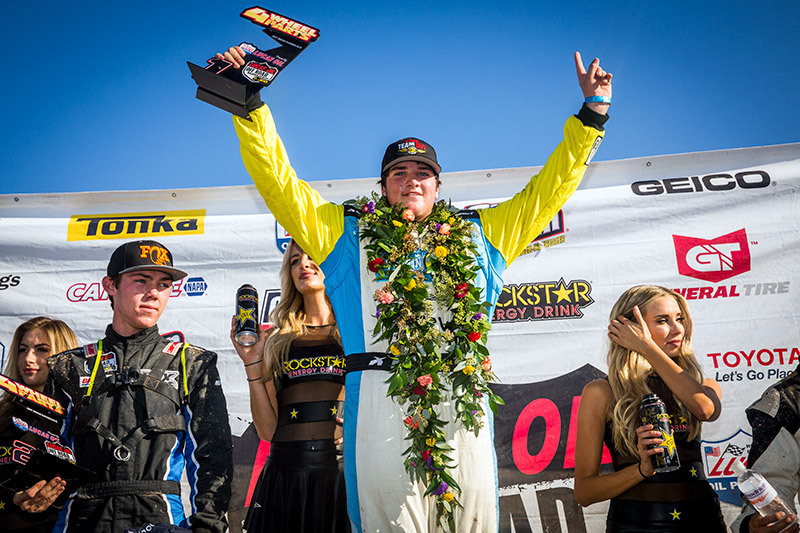 Cling, Hardesty, and many others are part of the next generation of offroad racers who are carrying on the championship winning tradition at Alumi Craft Race Cars. Alumi Craft racers come in all ages and from many different backgrounds. The one thing they all share is the performance provided by their meticulously crafted cars whenever they line up to race. 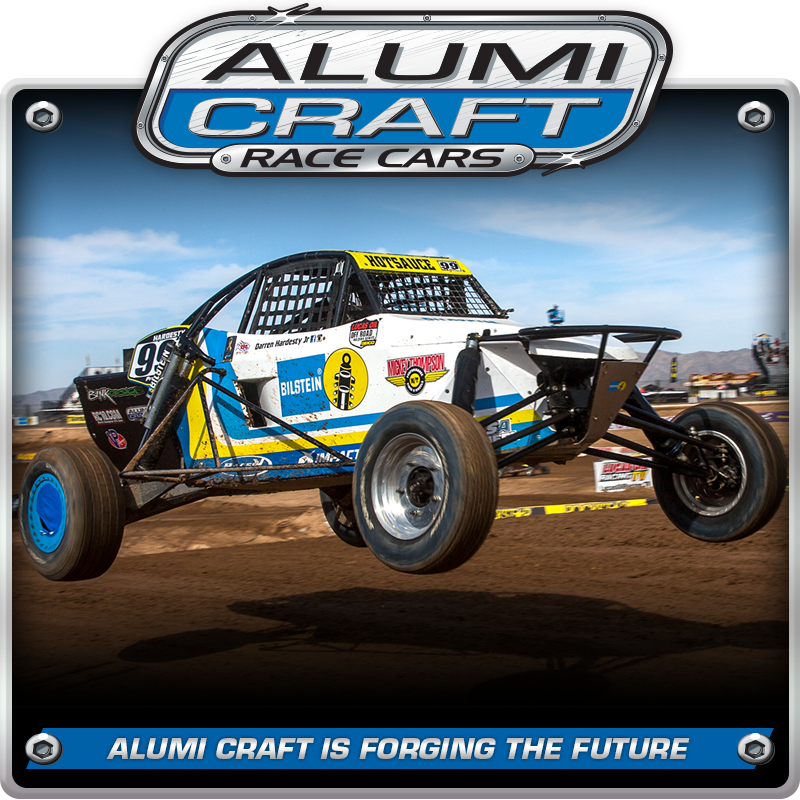 Whether you are competing in the desert, prerunning or racing wheel to wheel on the track, Alumi Craft is committed to providing you with a competitive, safe and reliable vehicle that exceeds your expectations. If you demand the best, give Alumi Craft a call at 619-596-9841 to find out more about our race products and services.